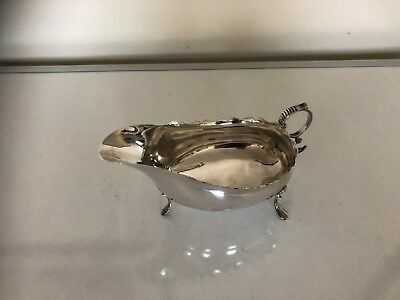 LARGE, ANT. 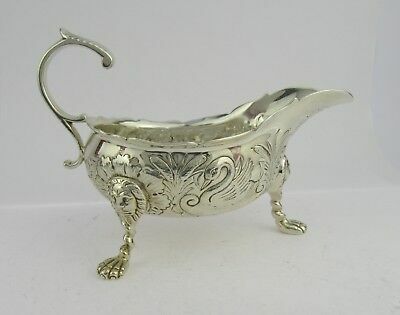 GERMAN 800 SOLID SILVER SAUCE BOAT ON STAND. 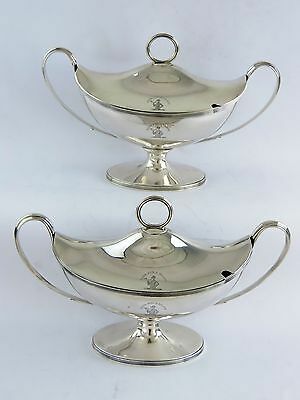 459GMS c.1875. 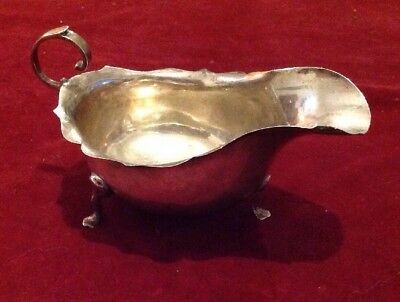 Early 1700’s George I, solid silver Georgian sauce boat. 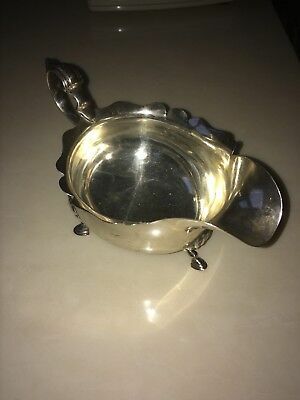 London silver rare! 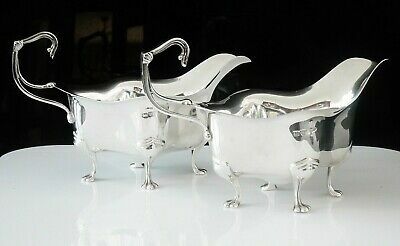 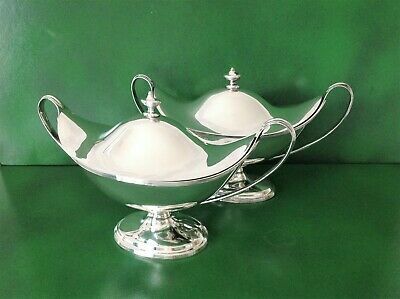 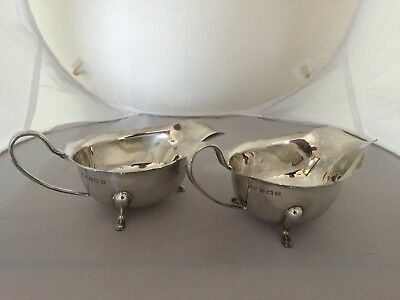 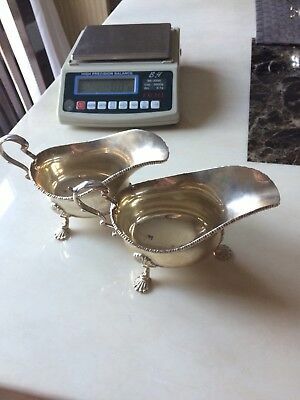 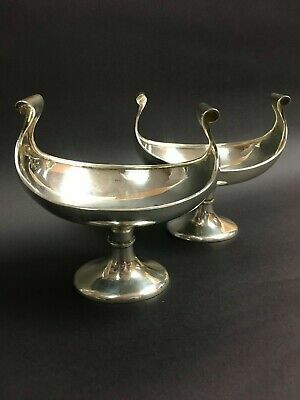 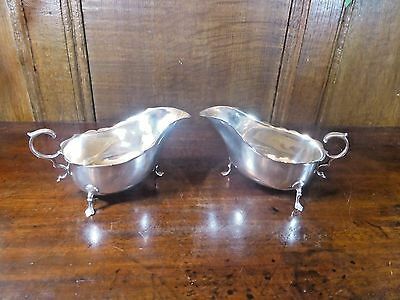 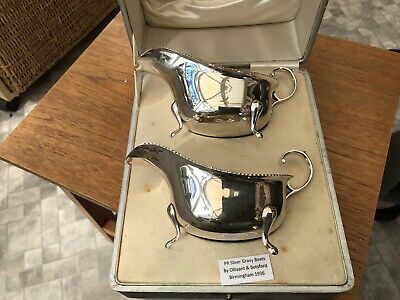 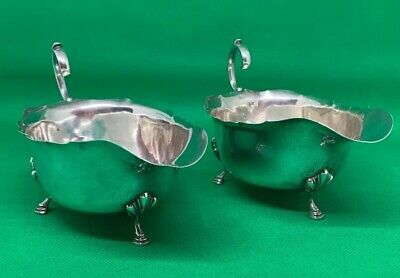 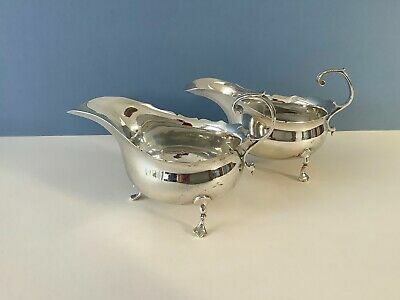 A pair of heavy solid silver sauce boats, By Edward Barnard & Sons 1940. 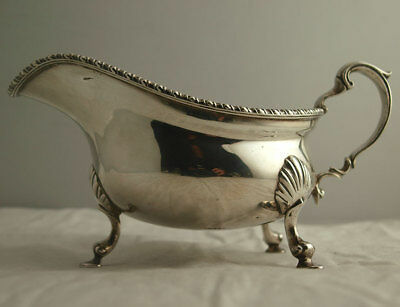 Nicely Decorated, English,birmingham Hallmarked Silver Sauce/gravy Boat. 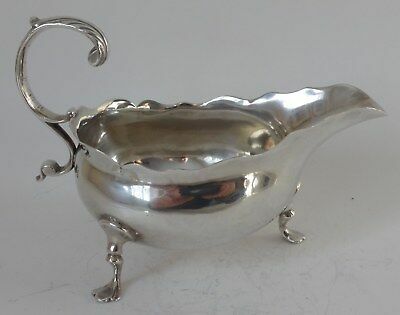 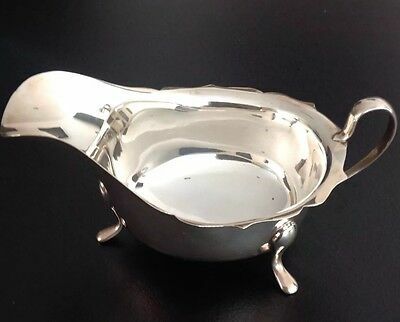 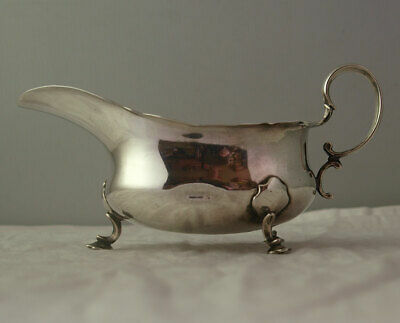 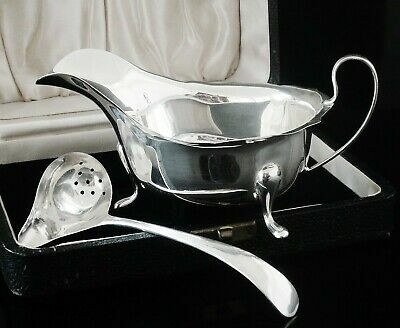 A Superb Solid Sterling Silver Sauce / Gravy Boat Sheffield 1934 By Emile Viner. 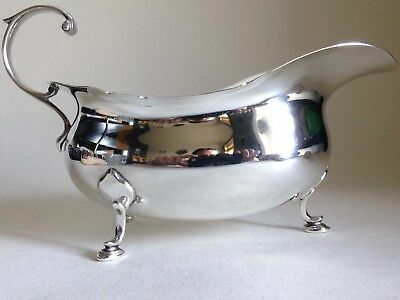 SOLID SILVER SAUCE / GRAVY BOAT. 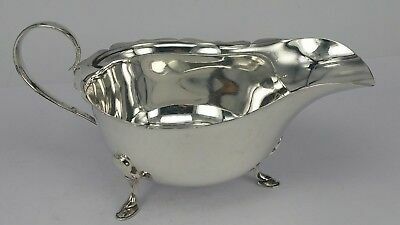 Birmingham 1938. 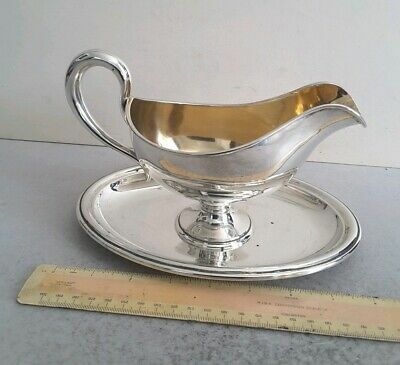 A Stunning Solid Sterling Silver Cream / Sauce Boat Birmingham 1982. 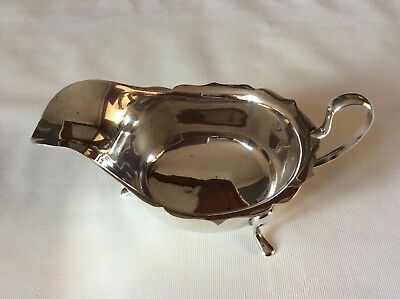 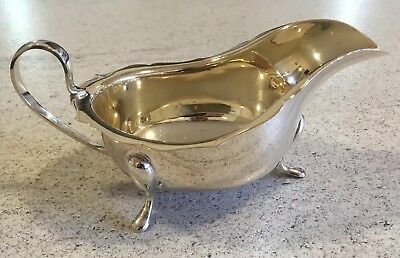 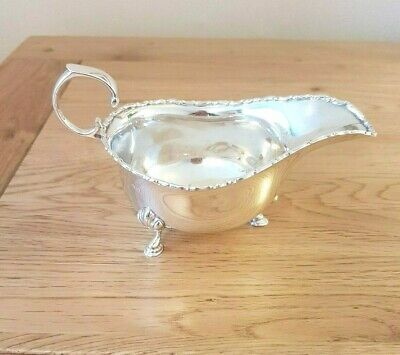 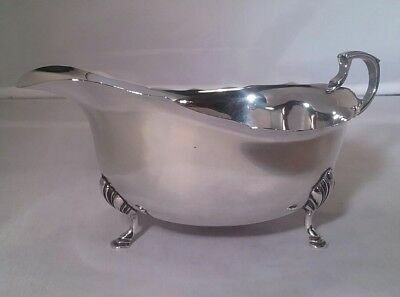 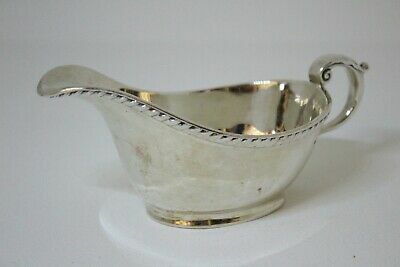 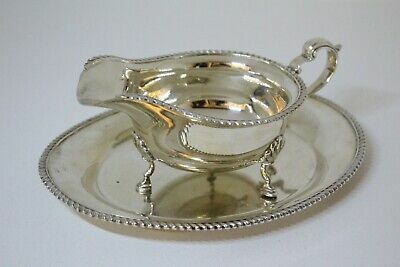 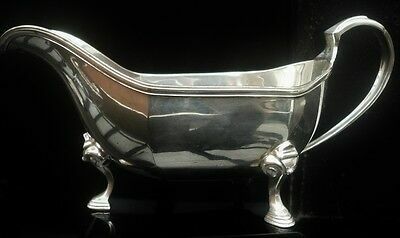 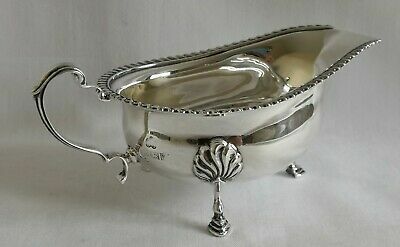 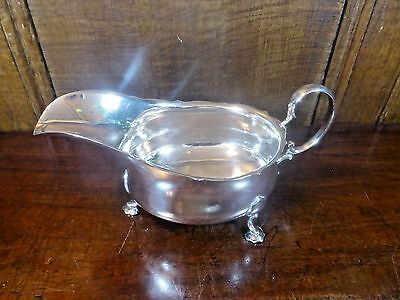 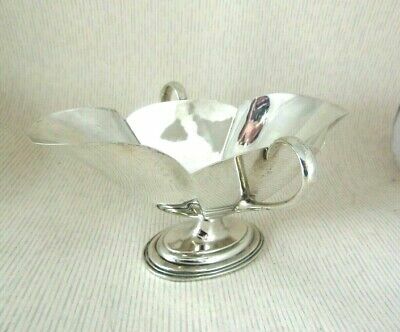 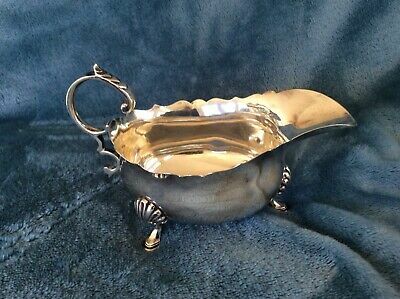 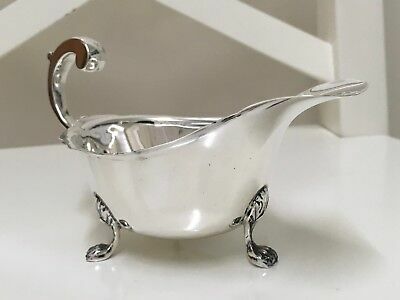 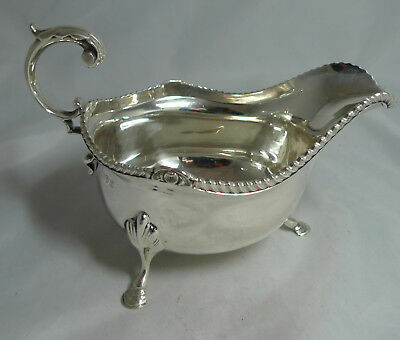 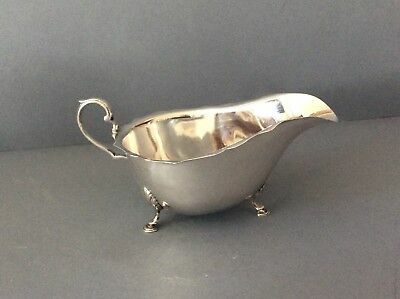 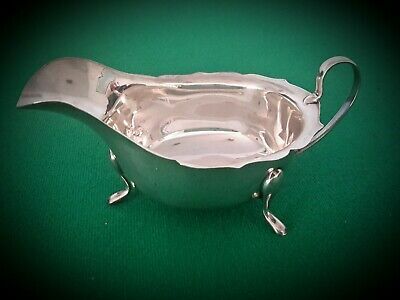 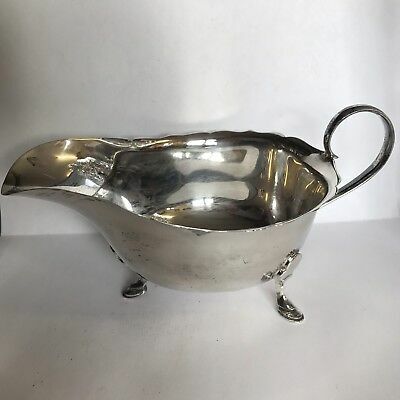 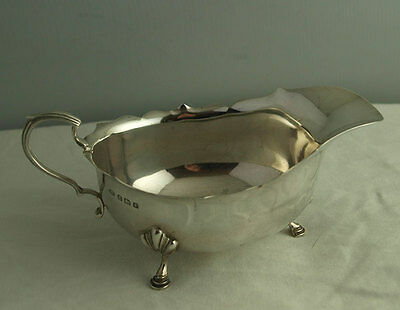 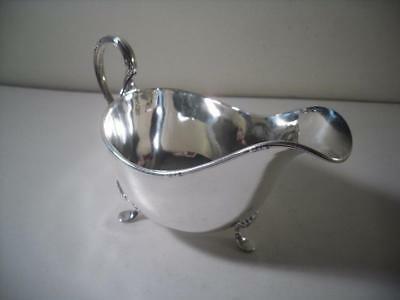 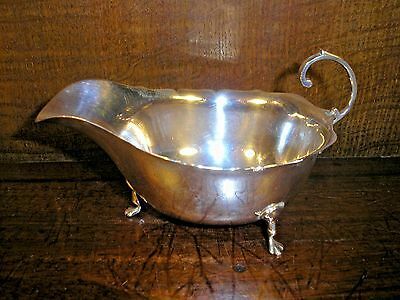 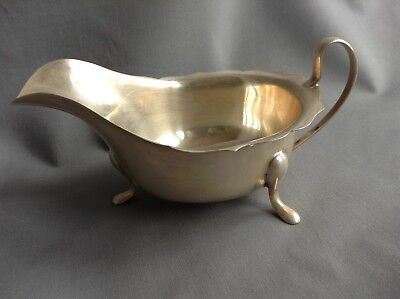 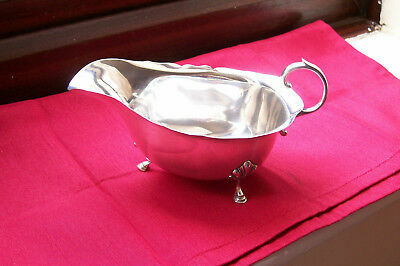 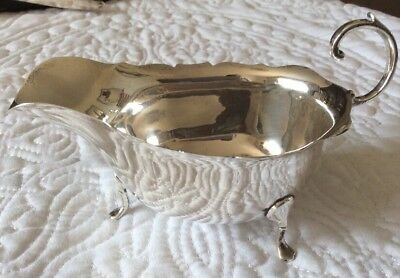 Solid Silver Sauce Boat 3.8oz Emile Viner Sheffield 1936. 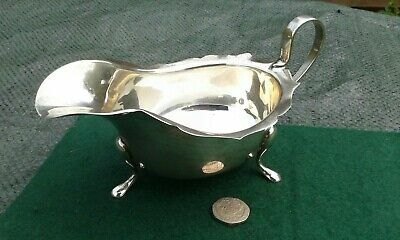 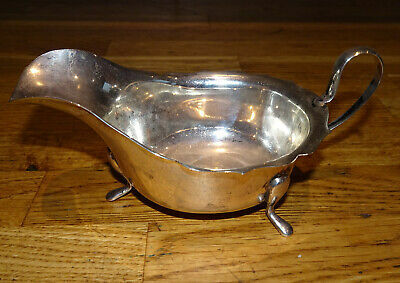 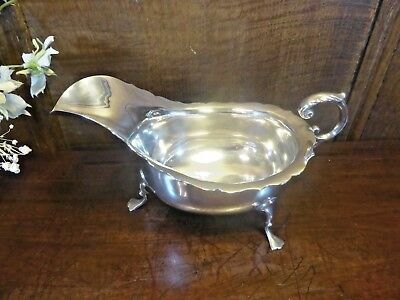 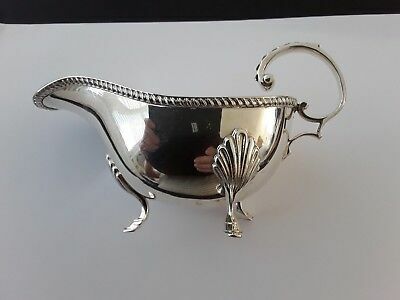 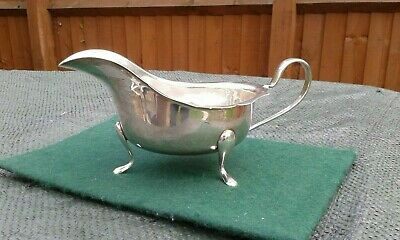 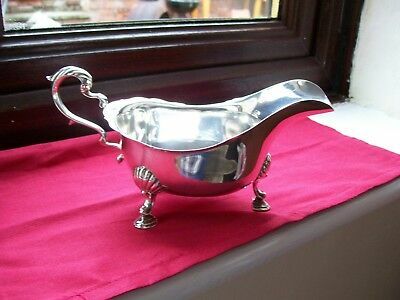 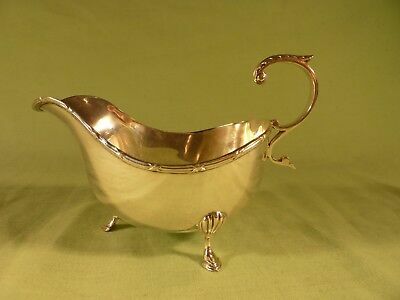 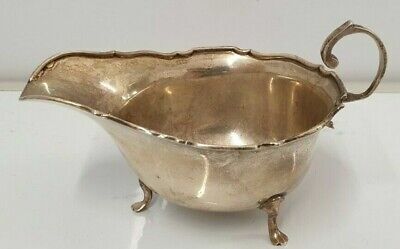 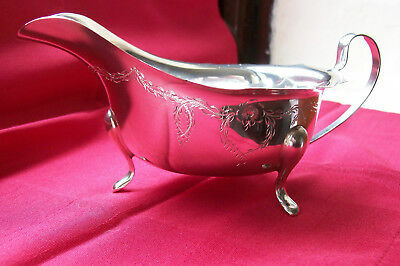 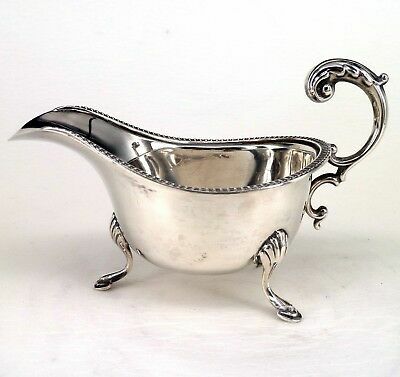 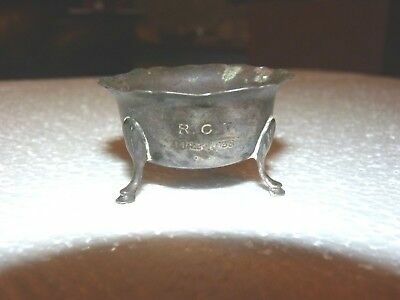 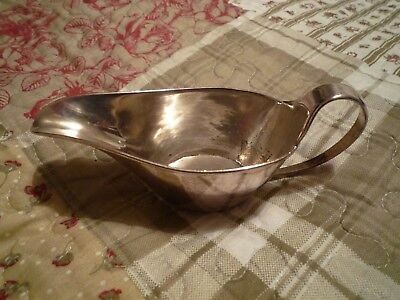 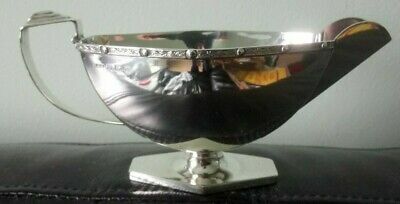 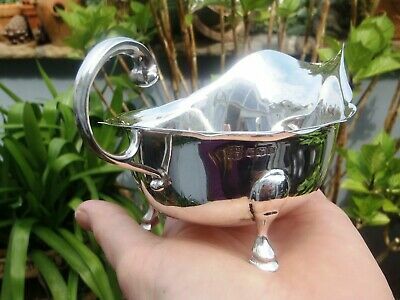 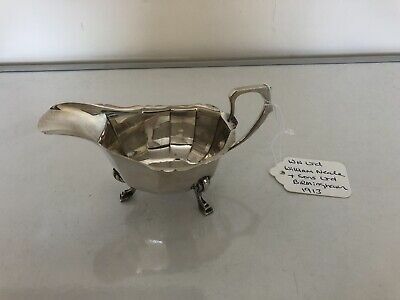 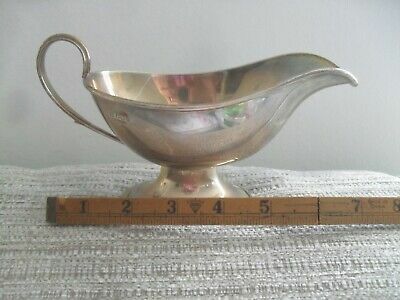 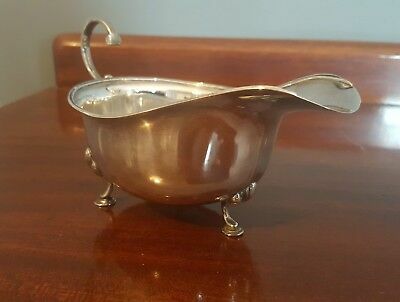 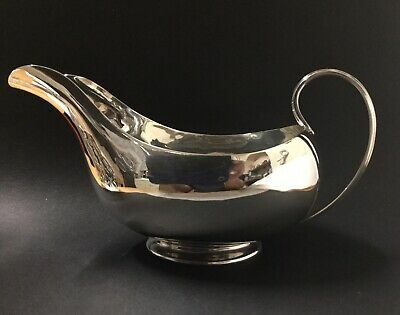 Solid Silver Sauce Boat 3.6oz Emile Viner Sheffield 1937. 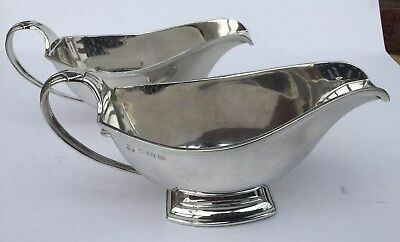 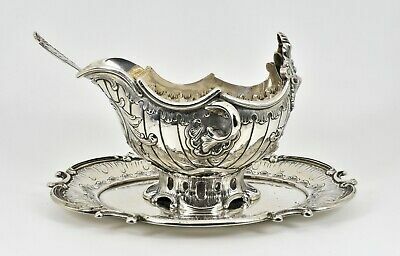 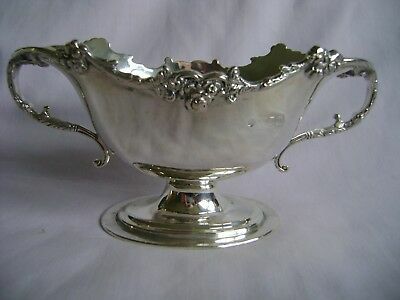 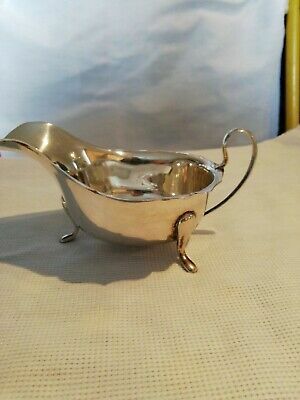 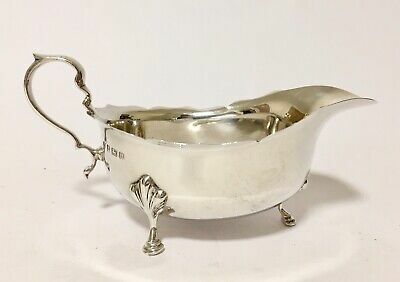 Edwardian Solid Silver Sauce Boat 3.5oz London 1902. 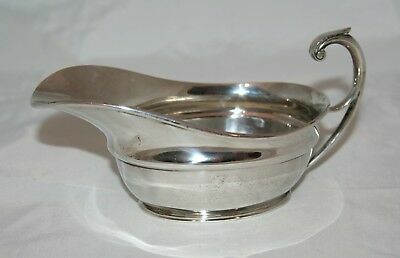 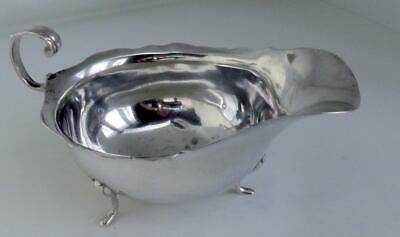 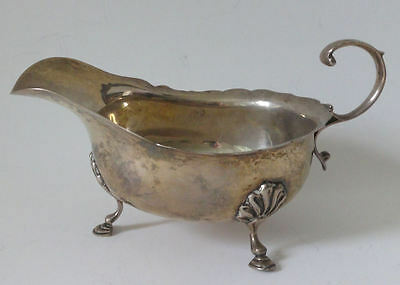 Solid (sterling) silver sauce boat, Sheffield 1964, 106 g. 15cm. 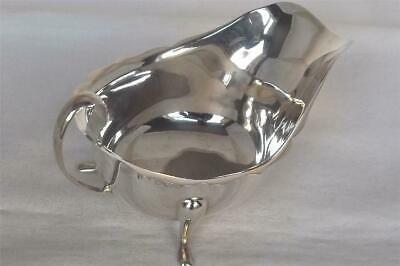 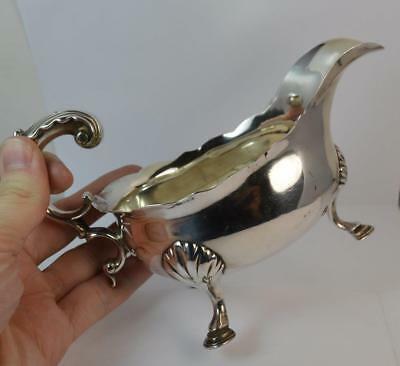 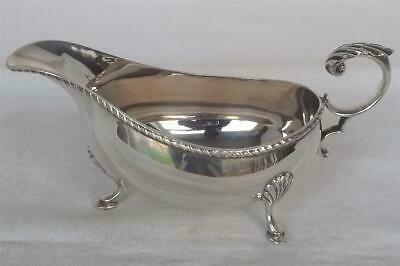 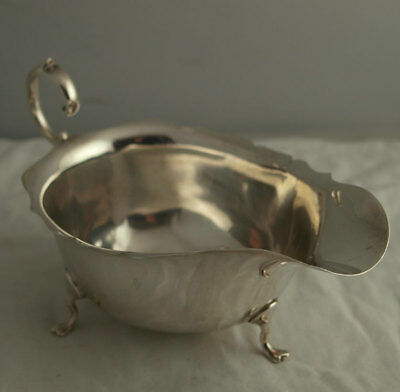 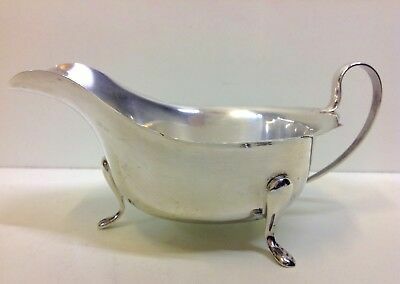 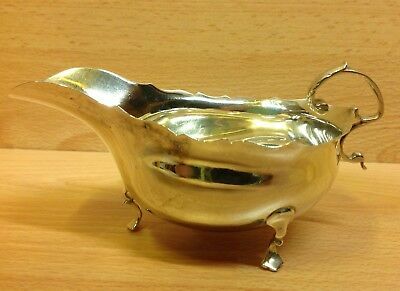 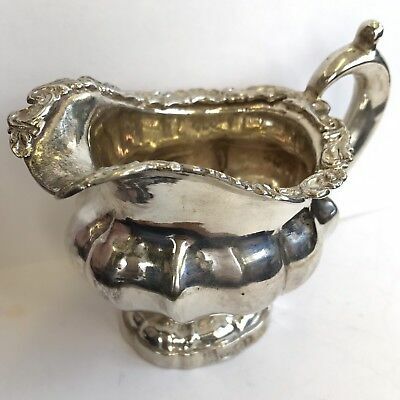 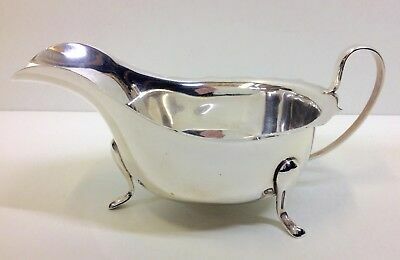 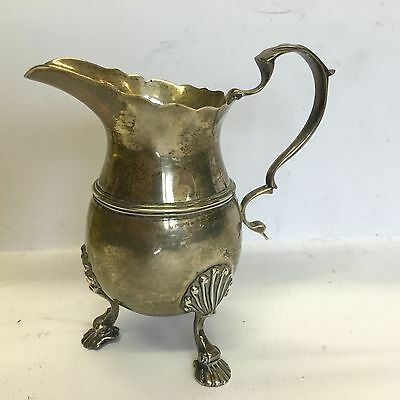 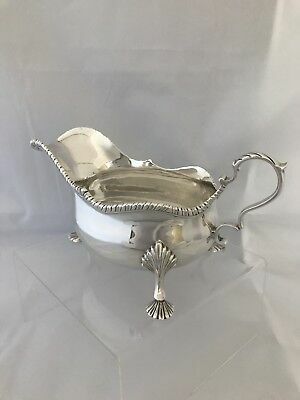 A Superb Solid Sterling Silver Sauce / Gravy Boat. 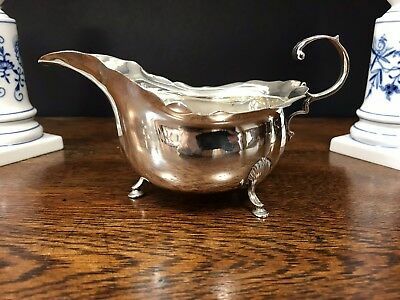 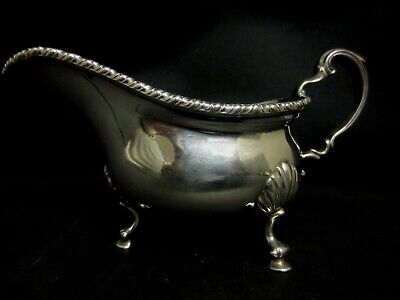 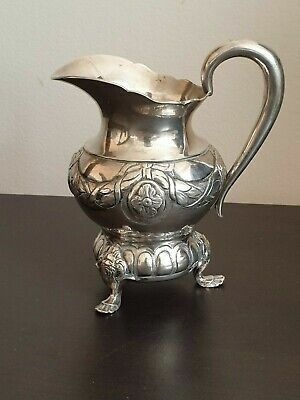 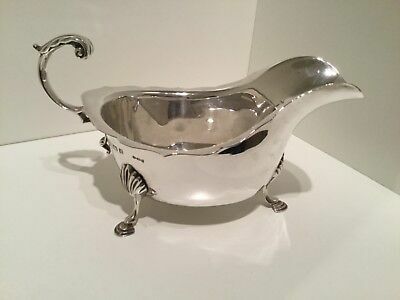 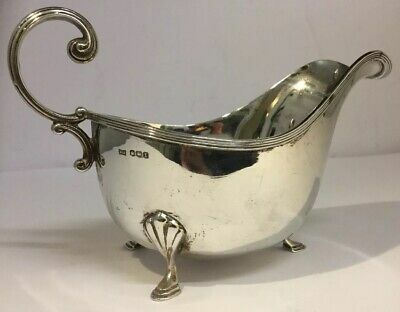 1923 DUBLIN,IRISH SOLID SILVER, Antique Gravy Boat by Wakely & Wheeler,Dublin. 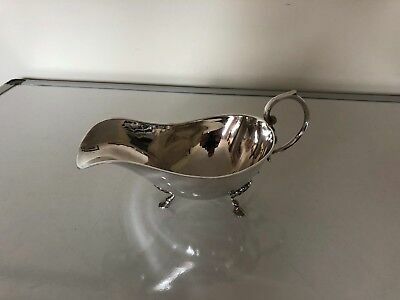 1950 ENGLISH HALLMARKED SILVER SAUCE/GRAVY BOAT, ADIE BROTHERS Ltd Birmingham.